Swede Ship Marine has a long tradition in shipbuilding and one of the yards – Djupvik Shipyard – has been building ships since 1890’s. Deliveries to the Coast Guard and the Navy started back in 1937, welding in aluminium in 1950 and production in composite materials in 1979. 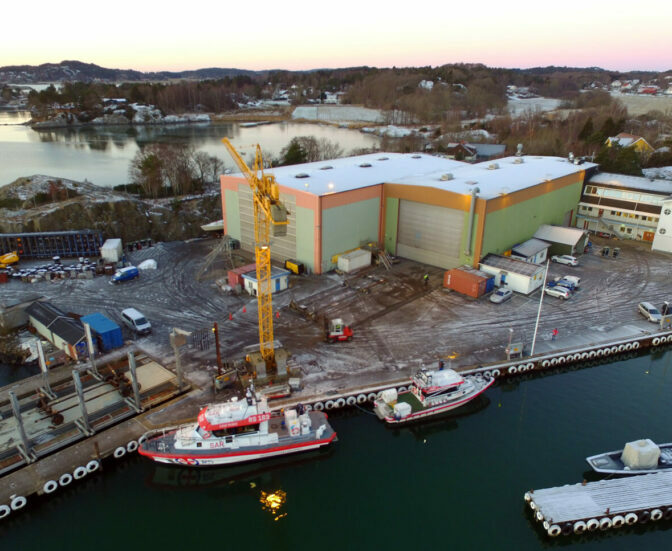 The group consist of three modern and highly specialized shipyards, Djupvik Shipyard, Swede Ship Composite and Swede Ship Yachtservice, all situated on the west coast of Sweden. We have our own in-house engineering department for design of new vessels and customization of existing. Djupvik Shipyard is specialized in aluminium and steel production, with a capacity of building vessels up to 40-50m. The customers are mainly different authorities, i.e. the Navy, the Coast Guard, the Maritime Administration and the Sea Rescue Society. Types of vessels are patrol- and surveillance boats, transportation boats, pilot boats and small passenger craft. Swede Ship Composite builds vessels up to 50m in lengths, in composite materials. Among these are sea rescue vessels in different sizes, catamarans for seismic research and different passenger vessels. Swede Ship Yachtservice located in the port of Gothenburg is a repair and service yard specializing in maintenance of engines. Swede Ship Marine is certified according to ISO 9001 and ISO 14001. Swede Ship Marine is privately owned and the president of the group is Mr Bo Axelsson. Chairman of the Board is Mr. Jan Eric Larson. The yard in Djupvik, Tjörn.